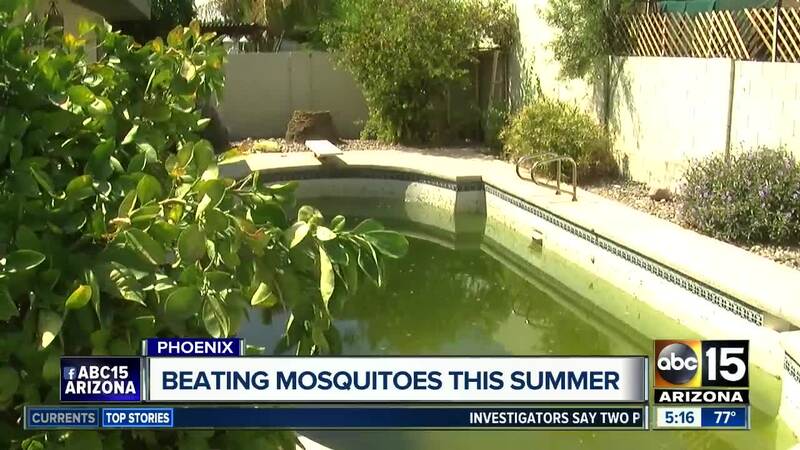 With the official start of summer just weeks away, Arizonans will be looking for places to cool off — and so will the area's bugs. Bug Expert Dr. Kirk Smith with Maricopa County Environmental Services Department ranked the top bugs to look out for now that the temperatures are warming up. The main one found in the Valley is the Bark Scorpion. It's also the one with the worst sting. Usually, people experience a sharp pain with numbness, tingling and possible vomiting. Their light brown color can make them hard to spot but they do glow with a black light. They can crawl up furniture and homes and they can be worse depending on where you live in the Valley. Dr. Smith says, "I think it has to do with the history of the neighborhoods...Was this an area that was heavily farmed with cotton before? Did it have a lot of citrus trees? 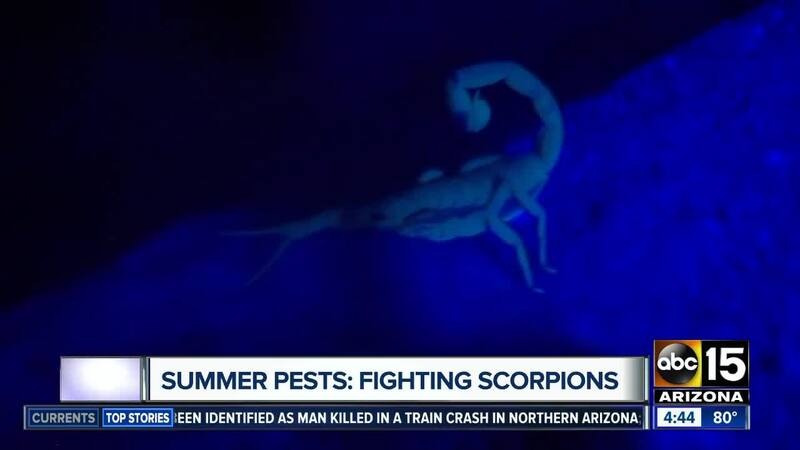 A lot of the areas in Mesa where you still have a lot of citrus trees there, they have a real bad bark scorpion problem." Experts say out of all of Arizona's venomous creatures, Africanized bees are responsible for the most deaths. If you encounter one, leave the area immediately, call 911 and notify a beekeeper. If you disrupt a hive, cover your head and run straight to shelter. Whatever you do, do not flail your arms and don't jump into a pool; they'll just wait for you to get out. They're the number one transmitter of West Nile disease which kills roughly 800 Americans every year. It's partly why Maricopa County is so aggressive with fogging. They want to make sure the population is in check. Another reason why they're so dangerous is they're breeding year round unlike colder places across the country. Lab Technologist Steven Young says, "Other parts of the country...they'll shut down their programs because it's frost will freeze all of the mosquitoes and they don't have to worry about it. But we don't have that benefit. We don't get that annual reset." Dr. Smith ranked ants as well, but ABC15 is placing ticks on the list since summer is a busy travel time to the high country where ticks are most prevalent. Ticks bury their heads into the skin and often people don't know. It's recommended to shower after a visit up north and inspect for ticks on you and your pets. Pets may show signs of tick paralysis if they've been bitten and the tick hasn't been removed. Spiders will often be attracted to wherever many bugs live. Houses that have a lot of light may see an increase in spiders in their home and area. Some of these arachnids may cause major skin damage with a bite. The best advice is if you come across any of these creatures is to call an exterminator as soon as possible to avoid stings or bites.